Free Wi-Fi in all cottages and preferential green fees at Rosapenna Golf Links. Downings Coastguard Cottages self catering holiday homes are set within Rosapenna's splendid championship golf links with commanding views over Sheephaven Bay. Explore Donegal’s rugged North-West and stay at Downings Coastguard Cottages. Based at Rosapenna, the site of Downings Coastguard cottages overlooks the small traditional fishing village of Downings, well-known for the production of Donegal tweed. Carrigart, just over a mile away, is a picturesque village with a pretty park and a purpose-built dive centre among its amenities. 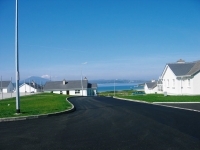 Downings Coastguard Cottages are Fáilte Ireland Approved and come each with 3 bedrooms. They offer an ideal base for exploring Donegal’s rugged North-West with Medieval Doe Castle, Ards Forest Park, and Glenveagh National Park and Castle only minutes away by car. Within a mile lies Downings Beach which is safe and is a base for sailing and windsurfing courses during July and August. Meanwhile Tramore Beach is a walker’s paradise sweeping around the bay for miles. 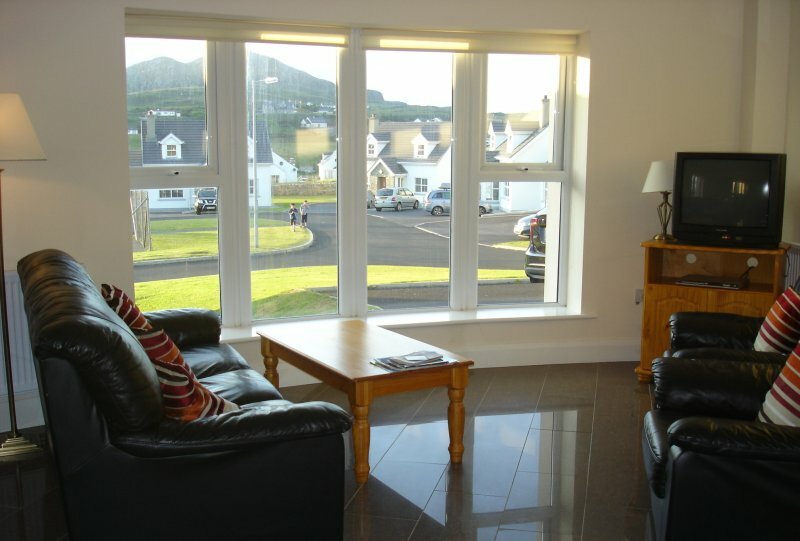 Nearby, walk, cycle, or drive the stunning Atlantic Drive; go horse-riding across the strand at Mulroy Bay; or enjoy a swim at the modern Magherabeg Leisure Centre in Downings. For the golfing enthusiast, let the team at Downings Coastguard Cottages look after tee times and green fees for you at either Rosapenna’s classic Old Tom Morris golf links, or Sandy Hills, a challenging modern golf links also part of the Rosapenna Golf Resort. The closest beach for swimming is a 10-15 minute walk along a country road. It is only about 2 minutes in the car (0.7 of a mile). Remember though that the road is downhill to the beach from the cottages but the way back is uphill so you may be glad of your car at the end of a long and tiring day playing on the beach. Tra Mor beach is a mile away and is perfect for all watersports. Downings is a picturesque fishing port, famous for the production of traditional Donegal tweed. 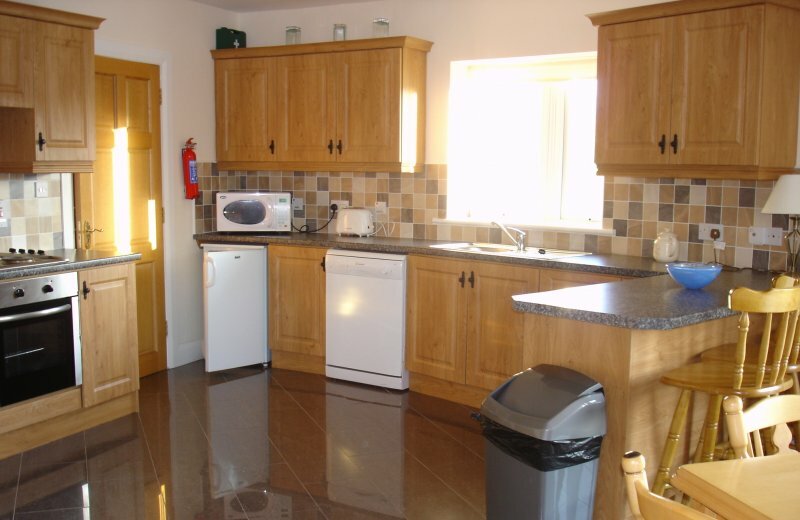 The cottages are located in the heart of the Rosapenna Golf Resort. The team at Downings Coastguard Cottages can arrange tee times and preferential green fees at the Rosapenna Golf Links. 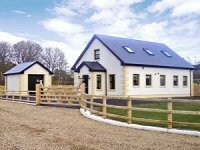 Aside from golf, an excellent equestrian centre and a modern leisure centre are nearby. The peninsulas in this lovely corner of Donegal offer spectacular drives and walks, including the exciting Atlantic Drive which starts in Downings. Medieval Doe Castle, Ards Forest Park and Glenveagh National Park and Castle are only minutes away by car. Whether you come to walk, cycle, fish, drive, tour, or just relax, there is no better place than Downings Coastguard Cottages. Type E is a spacious 3 bedroom apartment located on the ground floor of the round 2-storey tower on-site. 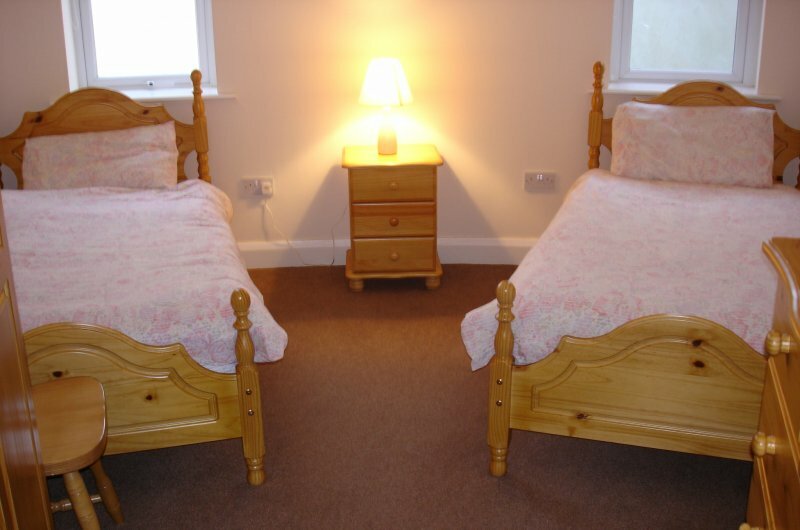 1 twin bedroom (2 single beds). With an electric heater in the lounge for those slightly chilly evenings and oil-fired central heating for unseasonable or winter season cold snaps, this property is snug and cosy year-round. Heating & Electricity is an additional charge payable on departure. Situated in the heart of the Old Tom Morris golf links at Rosapenna, the cottages are ideal for golfers keen to sample two of Ireland’s famed golf links. The modern Sandy Hills links is the challenging new addition at the Rosapenna Golf Resort. Tee times and preferential green fees for both are available via Downings Coastguard Cottages. The cottages are 0.7 miles from Downings village where there are a selection of pubs including the Harbour Bar; the Singing Pub; and bars at the Beach Hotel and the Downings Bay Hotel. Many of the above serve food. There is also a convenience store in the village for all those essentials, as well as a McNutt's Coffee House serving home-cooked meals & home-baked delights. The facilities at the Magherabeg Leisure Centre include a pool, sauna, steam room, and a well-equipped and spacious gym. Downings Beach (Trabeg) and Tramore beach are both within a mile of the cottages. A couple of miles away lies Trá na Rosann on the famous Atlantic Drive. The Main Street offers a choice of supermarkets; Joy’s Gift Shop selling authentic Irish crafts; a selection of pubs; a café; and a restaurant at the Carrigart Hotel. Just off the main street is a well kept public park, and the Carrigart Riding Stables which offer horse riding across the sand dunes and strands of the locality. 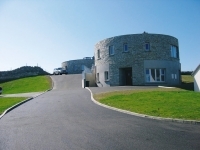 Carrigart also boasts Donegal’s first purpose-built dive centre, Mevagh Dive Centre (http://www.mevaghdiving.com). Experience wreck, scenic, or drift dives. 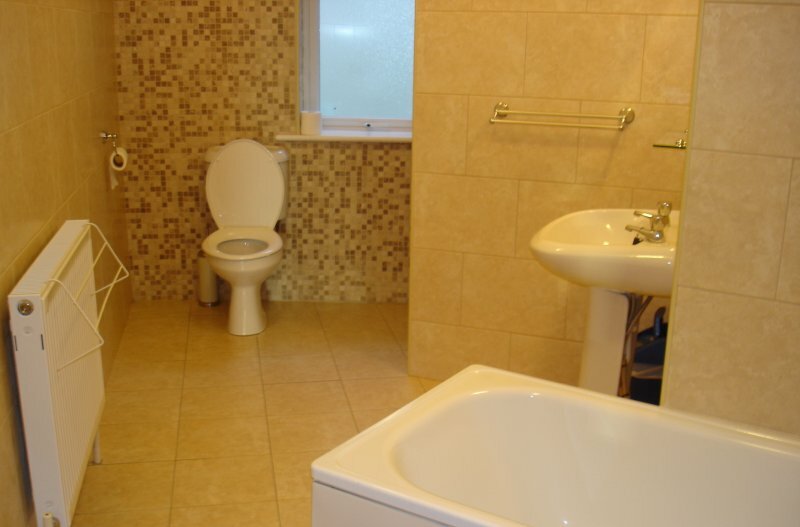 Facilities include a shop, changing rooms, lecture room, and provision of all necessary equipment. • Medieval Doe Castle, near Creeslough. • Ards Forest Park, Creeslough. • Famine Exhibit at the Workhouse, Dunfanaghy. • Horn Head Drive, Dunfanaghy. • Glenveagh National Park and Castle. • Ionad Cois Locha (Lakeside Centre), Dunlewy. • Grianán Aileach, spectacular ring fort located at Burt. Cots and high chairs can be provided on request at no additional charge. An enclosed children's play area / tennis court with a tarmac surface is situated in the centre of our site. 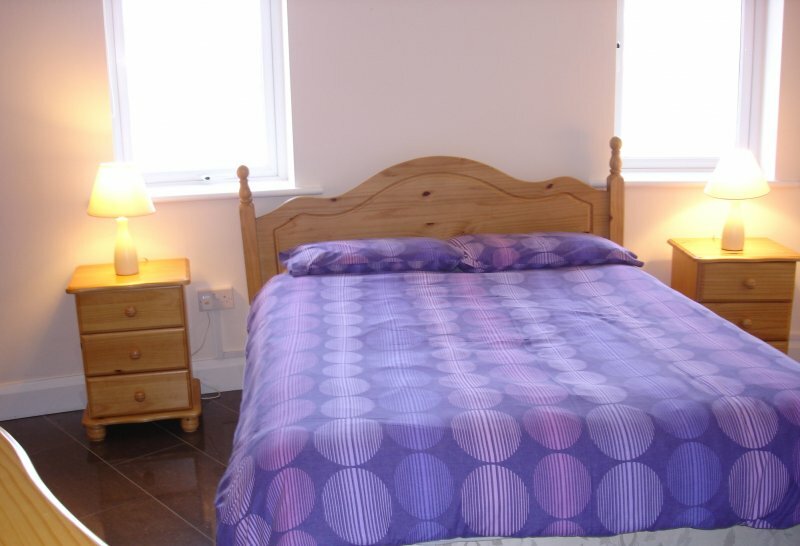 The cottages are ideal for families with mainly family groups residing on the site during the summer months. Each cottage has a 32 inch flat screen (Direct LED) TV and a DVD player. As well as the other equipment listed, an iron, ironing board, and vacuum cleaner are provided for your use. Ample parking is available outside each cottage. The entire site is within stone walls providing security for children. At the back and surrounding the cottages there are large open grassy areas. Smoking strictly not allowed in any of the cottages. We provide bed linen, bath and hand towels, tea towels (drying cloths), and a dish cloth. Face Cloths are not provided. Where a cot has been requested, the client must provide the linen for it. * The pet is house-trained. * The pet is not allowed in the bedrooms. * The owner must clean up after their pet on the grounds of the cottages.